Here are five ways to reduce diesel emissions and how to fund them. While attending last year’s Society of Environmental Journalists Conference in Sacramento, California, I had interesting conversations with several diesel manufacturers about advances in diesel engines in recent years. We also discussed how those diesel innovations are benefiting small business owners, especially those in the construction industries. They commented diesel engines have become as environmentally friendly as their alternative fuel counterparts. You can watch a video of the technology they had on display at the conference via www.dieselforum.org/events/society-of-environmental-journalists-26th-annual-conference. I’d like to share some of those innovations and give some ideas how you can use these technologies to modernize your fleet, save money, and help the environment at the same time. 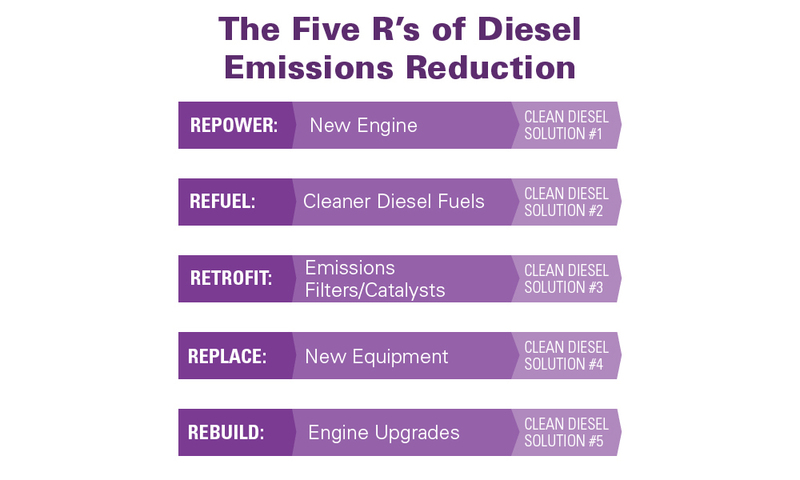 The Diesel Technology Forum, an industry leader in policy and innovation, has developed the five R’s of diesel emissions reductions: Repower, Refuel, Retrofit, Replace, Rebuild. Let’s go over all of them. When diesel manufacturers refer to “repower”—they mean owners replacing old engines with new ones. Suggestions are that the new engine should be one that meets current U.S. Environmental Protection Agency standards for lower fuel emissions. Depending on your budget, you can also achieve this repowering by purchasing a new power unit for your rigs or new support trucks. Buying new might also help you with tax credits as well. Consult your local tax professional as well as state laws to see what might apply. Designed with a separate truck engine and a deck engine to power the drill, the design’s main advantage is the increased power transfer efficiency. The deck engine is coupled to the air compressor off one end of the crankshaft and is close-coupled to the hydraulic drive box from the other end. This design boosts fuel economy and has fewer drive components to maintain and repair. The second clean diesel solution is refueling, which means using cleaner diesel fuels and additives, including ultra low sulfur diesel (ULSD). While ULSD is the new standard fuel, the way it works in your equipment might not be as intuitive as manufacturers might like. 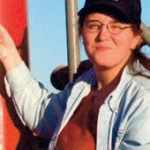 Maintenance training is an important part of implementing the fuel in your fleet. For example, using ULSD requires cleaning diesel systems more often with specialty equipment. Engine manufacturer Cummins has a slideshow useful to your maintenance trainings and can be found at www.gcatr.com/pdf/Understanding_Diesel.pdf. Manufacturers advise proper maintenance of the diesel exhaust fluid unit is critical to proper selective catalytic conversion and long-term engine performance. Cummins answers questions about the diesel exhaust fluid unit and maintenance issues in a white paper located at www.cumminsfiltration.com/sites/default/files/MB10033.pdf. Biodiesel is a cleaner alternative to ULSD and gaining popularity in a few states. It is produced by processing raw vegetable oil or animal fats through a process called “transesterification.” Since it uses plant and animal substances, it’s also controversial because many don’t like the thought of using food sources as fuel. Retrofitting is the third clean diesel solution recommended by the Diesel Technology Forum. It includes using emissions filters and catalysts to clean older engines. “The mandated use of ULSD has paved the way for many emission control technologies to reduce critical pollution emissions from older diesel engines,” the Diesel Technology Forum states on its website. The EPA also has a list of verified diesel retrofit technologies it has “approved or conditionally approved for use in engine retrofit programs.” It also shows the percent reduction (of verified or tested levels) the EPA will recognize for emission reductions for each technology. The list is a great place to start to find out if your current engine can be retrofitted or if you need to buy new. The list can be found at www.epa.gov/verified-diesel-tech/verified-technologies-list-clean-diesel. Several engine manufacturers including Cummins, Volvo, Caterpillar, and John Deere have made tremendous innovations in cleaner engine technology since the current EPA rules mandate engines meet Tier 4/Stage IV standards—meaning they should be producing almost no particulate matter (a non-gaseous product of combustion) or nitrogen oxides (which react in the atmosphere with hydrocarbons). The Diesel Technology Forum recommends a final method to lower the emissions in current equipment is to rebuild those engines with engine upgrades. Upgrading engines during a rebuild can be a cost-effective way to reduce emissions and ensure equipment is following current emissions laws. Even though construction equipment is given a broader compliance window than most industries, the EPA is encouraging primary contractors to put pressure on their subcontractors to use the cleanest equipment possible. Despite some thinking the United States is easing on emission standards with the country announcing to leave the Paris Climate Accord, the EPA is still moving forward on clean diesel technologies. EPA anticipates awarding approximately $34 million in competitive grant funding for the Diesel Emissions Reductions Act (DERA) Clean Diesel Funding Assistance Program. The program is soliciting proposals nationwide for projects that achieve significant reductions in diesel emissions in terms of tons of pollution produced and exposure, particularly from fleets operating in areas designated by the Administrator as poor air quality areas. This means there are funds available for readers to participate in this program and get grants to retrofit their equipment if they so desire. The EPA lists the eligible projects on its website. Nonroad engines, equipment, or vehicles used in construction, handling of cargo (including at ports or airports), agriculture, mining, or energy production (including stationary generators and pumps). Early engine, vehicle, or equipment replacements with certified engine configurations (epa.gov/compliance-and-fuel-economy-data). Certain states and counties are also given special consideration for projects because the areas are still failing to meet federal air quality standards. For more information, readers can visit www.epa.gov/cleandiesel/clean-diesel-national-grants to read more about the program and its benefits. 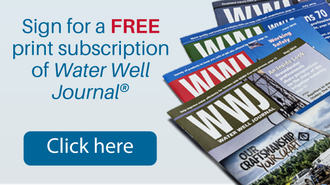 If you are still waiting to upgrade your equipment and are concerned the EPA may come knocking on your door, you’ll be happy to know the National Ground Water Association has your back. In 2014, after being provided information from NGWA, the EPA revised its rules to allow groundwater drilling equipment to be exempt from upgrade until the equipment was more than 40 years old. The National Ground Water Association objected to the 25-year limit, noting that their members have thousands of powered drilling units with an expected lifetime of 50 years or more. They stated that limiting access to the replacement engine exemption and thereby requiring operators to prematurely buy expensive new equipment would cause significant economic hardship. They acknowledged that a 40-year limit for groundwater drilling applications would be more appropriate. This ruling helps equipment buyers budget their upgrades and helps rig manufacturers and brokers sell off older inventory even though it may not be Tier 4 engine compliant. 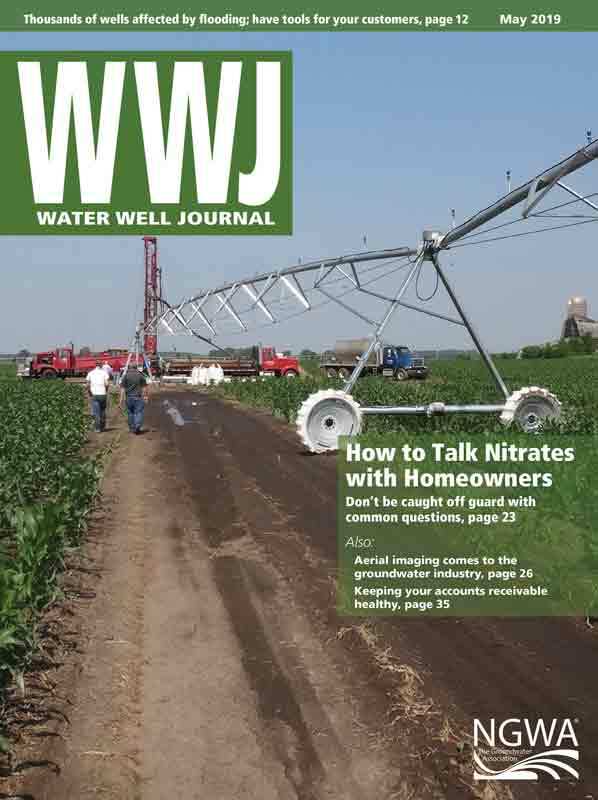 That kind of help is what keeps the groundwater industry turning to the right. Here are a few EPA publications you might find useful when deciding how to implement the 5 R’s in your business. 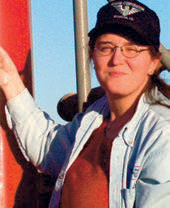 Lana Straub, with a background in the legal and financial aspects of small business, is the office manager of Straub Corp., Stanton, Texas, an environmental and water well drilling firm owned and operated by her family for 60 years. She can be reached at Lana@StraubCorporation.com.